The Corovent Plain Tile Roofline Vent comprises of a neat and compact design that will maintain the aesthetics of a plain tile roof. 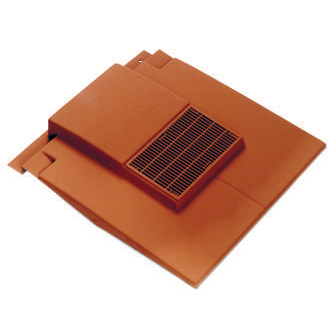 This vent replaces only 3 tiles and without the need to cut any roof battens or surrounding tiles. A box below the vent collects any water that enters it and ducts it back onto the roof.